The Wilsons resume their efforts to live their best ethical life with all the challenges that modern living throws at them. 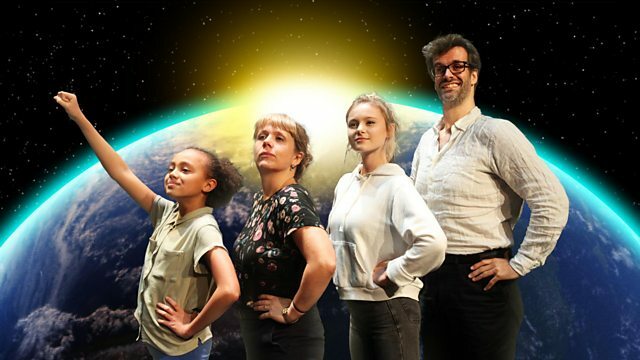 Stars Marcus Brigstocke and Kerry Godliman. Spurred on by the notoriously anti-environment neighbour ‘BMW Paul’ and his apparent saintly u-turn on plastics and waste, Mike lays down a no-plastic challenge to the family which is taken up with competitive relish. Meanwhile Max’s Mum Pauline pays another visit and dishes out a heap of straight-talking common sense in her own inimitable way. It turns out that the purpose of her visit is to drop another bombshell which sends Max reeling and forces her to confront a number of difficult issues head on.